BEST VALUE IN JUPITER!! Beautiful corner lot, pool home in Botanica offers 4 bedrooms and 3 full baths. Built new in 2013 this Dulcina 3.0 model features an expanded floor plan with a ex-large master suite, ensuite with 2 oversized walk-in closets! The 4th bedroom is located downstairs with adjacent full bath which is great for guests or home office. 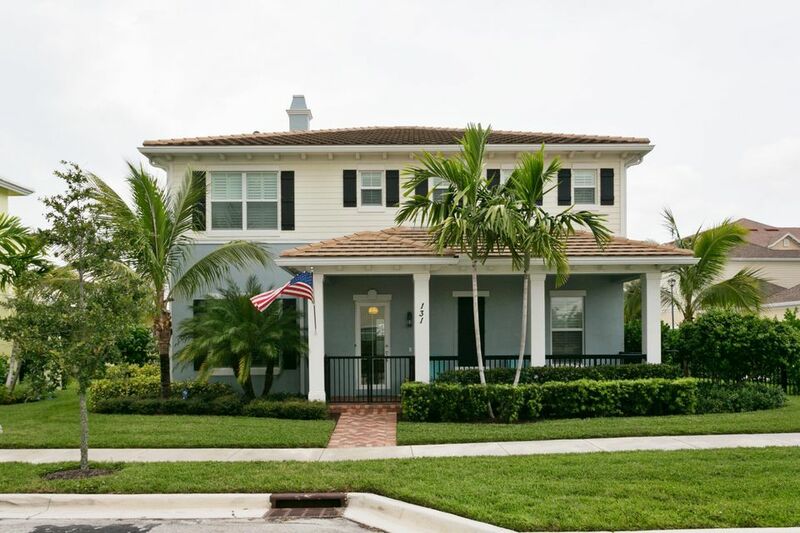 Stylish finishes throughout include plantation shutters, built in pantry, subway tile, stainless steel, granite, fenced yard, designer light fixtures, designer closets, and resort style saltwater pool built in 2015. Botanica offers views of nature preserve, walking trails, easy walking access to Publix and Starbucks, and great public spaces.